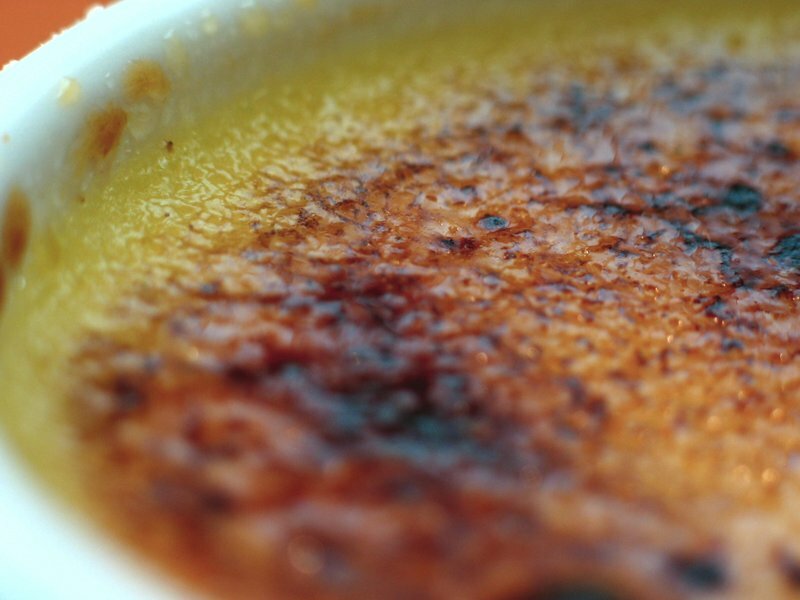 Crème brûlée (French for "burnt cream"), burnt cream, crema catalana, or Trinity cream is a dessert consisting of a rich custard base topped with a contrasting layer of hard caramel. It is served cold, or with the custard cold and the caramel warm. The custard base is normally flavoured with vanilla, but it can have one of several other flavours: lemon (zest), rosemary, chocolate, a liqueur, fruit, etc. 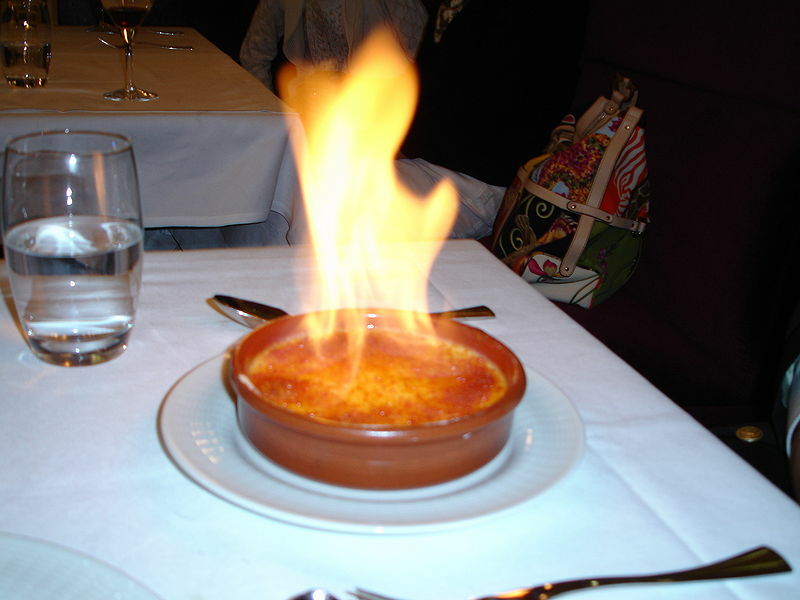 Crème brûlée usually is served in individual ramekins. Discs of caramel may be prepared separately and put on top just before serving, or the caramel may be formed directly on top of the custard, immediately before serving. To do this, sugar is sprinkled onto the custard, then carmelized under a broiler or with a butane torch (or similar) or by flambéing a hard liquor on it. In Britain, a version of crème brûlée (known locally as 'Trinity Cream' or 'Cambridge burnt cream') was introduced at Trinity College, Cambridge in 1879 with the college arms impressed on top of the cream with a branding iron.